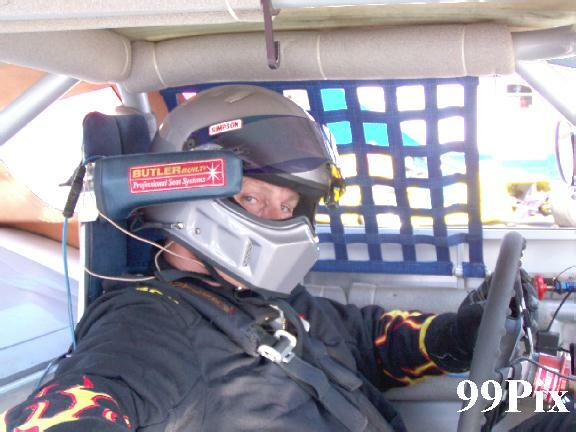 STOCKTON, CA., APRIL 24.: Fan favorite #9, Dave Byrd kept his string of victories alive in the Dodge Western Late Model Stock Car division, winning his third consecutive main event at the Stockton "99" Speedway Saturday night. The WLM feature capped off an exciting night of racing in four NASCAR divisions. Byrd took the lead from #27,Granite Bay's John Moore on the second lap of the Havoline/C.L. Bryant series feature and overcame five caution periods in the first 12-laps. Byrd, of Monterey, extended his point lead by beating Orangevale's Mark Welch, Moore, Manteca's Guy Guibor and Stockton's Gary Shafer Jr.
Grand American point leader #2, Jason Kerby of Galt benefited from #1, Scott Winters' bad luck. The Tracy driver led the first 21 laps, only to suffer a water leak his crew couldn't plug. After a caution flag on lap 21, Kerby took the lead and held on to the finish. Jay Linstroth of Citrus Heights placed second, followed by Mike Regelman and Angelo Queirolo of Ripon and Sam Solari of Salida. In the Pure Stock main, Modesto's Charlie Clawson, #15, took the lead from Galt's #6, John Medina on the 18th lap and went on to win the race. 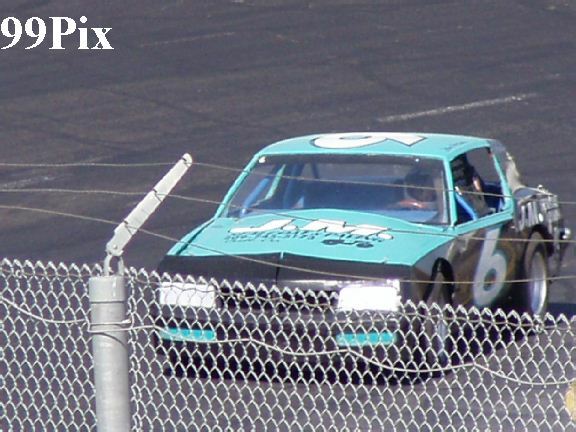 Medina, the early-season point leader, had been out front for just three laps, overtaking Stockton's Steve Bryant, #58, who had led from the start. The race was slowed just once when three cars got sideways on lap three. Clawson had also posted the fast time of the night at 17.115 seconds, but had to qualify for the feature from the B-main after having trouble in his first heat race. He led the final 12-laps, taking the lead from Railroad Flat's, #20, Brian Miller who had led the first eight laps and had previously won the night's trophy dash. 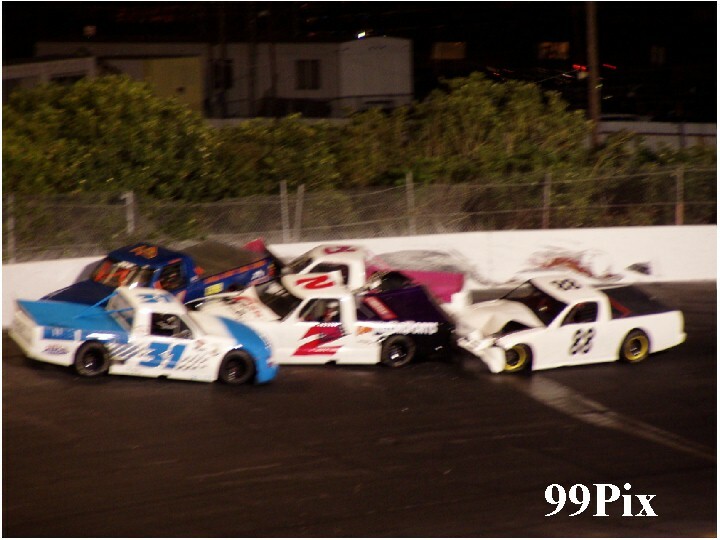 A five-truck pileup stalled the action in the Pro-4 Truck main event, delaying the eventual victory of Ron Robeck, #3, of Milpitas. Coming out of turn-three on lap two, the trucks of #4, Brandon Trevethan, Todd Lewis, Shane Dreher, Chris Drysdale and Carrie Miller were forced into the wall. Only Lewis was able to finish the race as the other trucks were too badly damaged to continue. 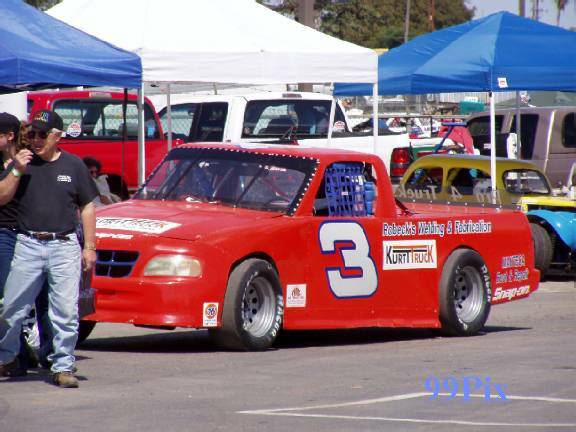 The delay left only eight trucks on the track and caused the scheduled 30-lapper to beshortened to 20 laps. Rohnert Park's Bret Barney led the first 15-laps before giving way to Robeck. Barney ended up third behind runner-up Dave Daniel of Salida. 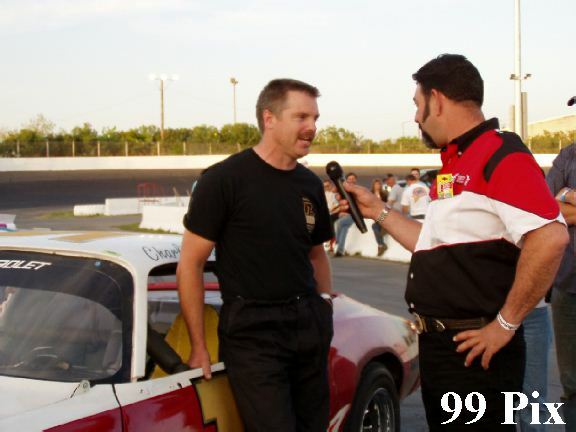 Three was the winning number on Saturday night at Stockton 99 Speedway. Three drivers won their third main event of the season even though there have only been four events. Among the trio is Dave Byrd of San Jose, who knows a few things about winning streaks. 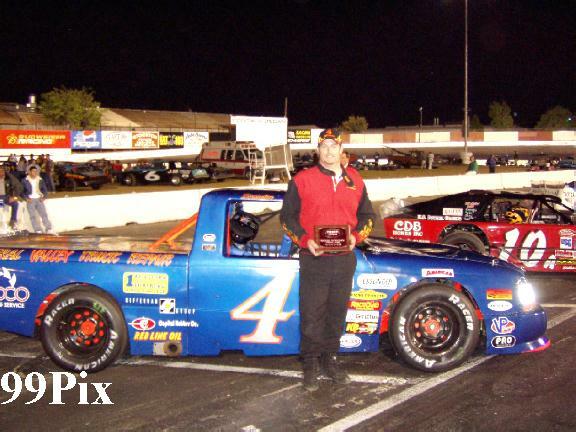 Byrd won his third consecutive NASCAR Western Late Model main event and the 39th of his career, taking the lead on the second lap of the 30-lap race. 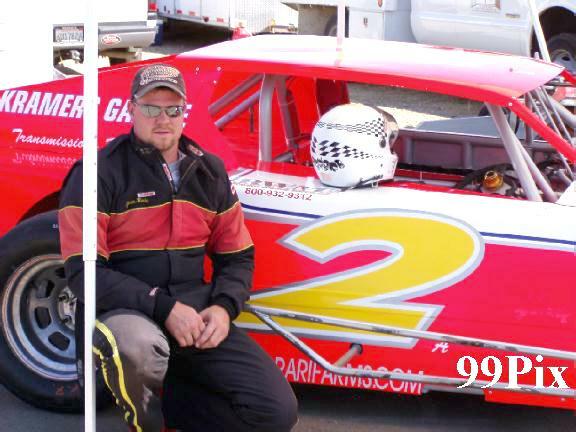 Jason Kerby of Galt in the Grand American Modified division and Charlie Clawson of Modesto in the Pure Stock class also became three-time winners. Byrd attributes his good start to two things -- a good car and getting some breaks. "I've always said that on pavement, 90 percent of winning is the car," Byrd said. "You have to have a great car and crew, and we do. And we've been getting a few breaks. You have to get some breaks when you get a little streak going on." The Western Late Model main event had an odd beginning when pole sitter Mark Welch of Orangevale was sent to the back of the field for not starting the race properly. Welch said he wasn't sure why the decision was made, but he did recover to finish second. "I had to use up my tires to get back though the pack, and when I did, I didn't have anything for Dave," Welch said. Byrd began in fourth place but quickly moved into the lead. He ran the last 18 laps without a caution flag as Welch tried to catch up. "We ran well and got a few of those breaks," Byrd said. "Who knows what would have happened if Mark ddn't go to the back, or if there was a late flag. I didn't want a restart." Kerby continued his early season winning streak by capturing his third Grand American Modified main event win. 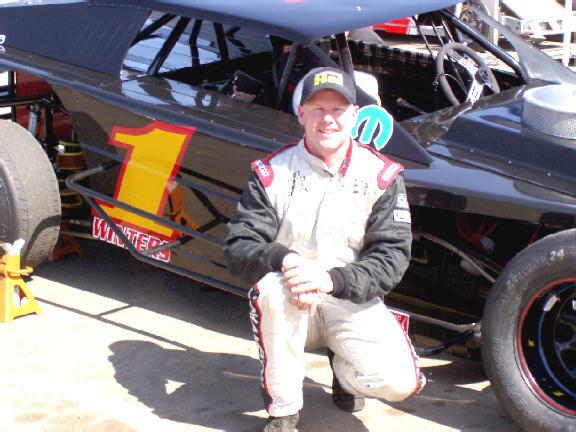 Kerby took advantage of an opportunity when Scott Winters of Tracy, who led the first 22 laps, was forced to retire because of a water leak. 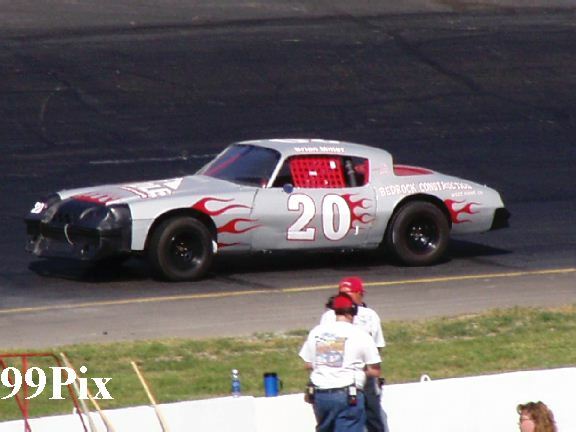 Winters won the season opener on March 27 and Kerby has won the other main events. "We're off to a great start and we'd like to keep winning, but it's tough," Kerby said. "This was a tough race." Winters started in second but passed Ted Montague IV of Newark on the first lap. Winters had a big lead, but his car started leaking water during a caution period on lap 22 and he left the race. 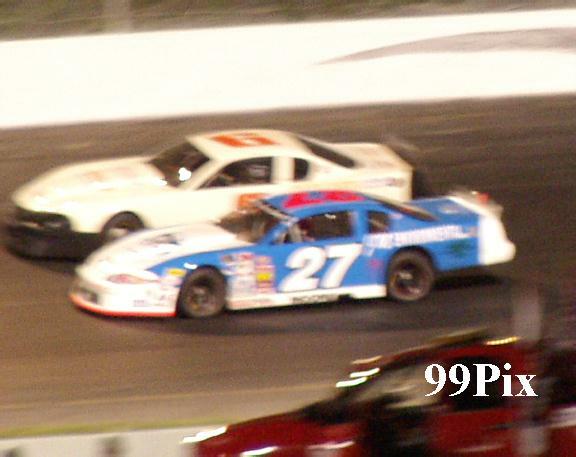 Mike Regelman of Ripon and Kerby were on the front row on the restart, and Kerby took the lead. 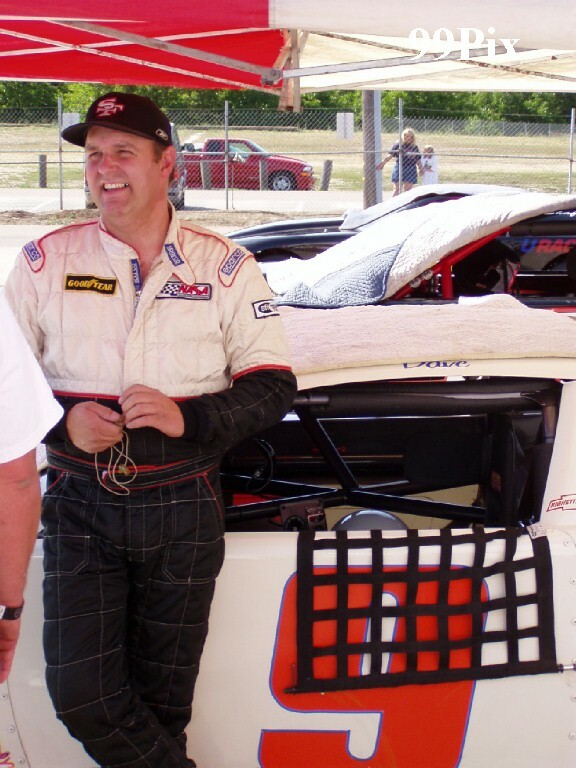 Clawson won his third Pure Stock main event in four attempts. Jacob Cordoza of Manteca was second, and John Medina of Galt was third. Ron Robeck of Milpitas won the Pro 4 Truck main event. 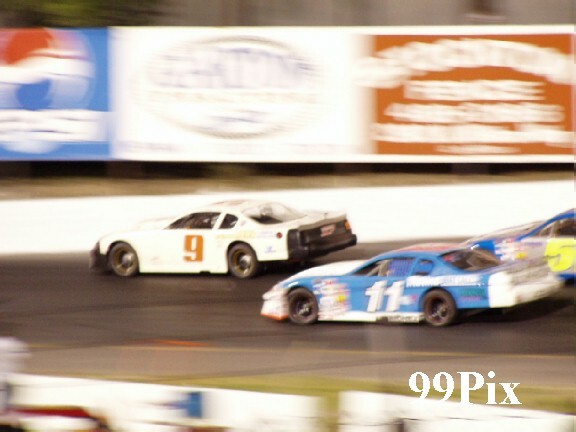 Action continues next Saturday night, May 1, 2004, at the Stockton "99" Speedway with four divisions. Western Late Models, Pure Stocks and the Pro 4 Trucks.